When I first started Drink on Fleek, I never imagined I'd have as much fun with it as I do. I of course love taste testing all of my concoctions, but it has also been fun learning about new and different types of liquor, beer and wine that I had never used in cocktails before. 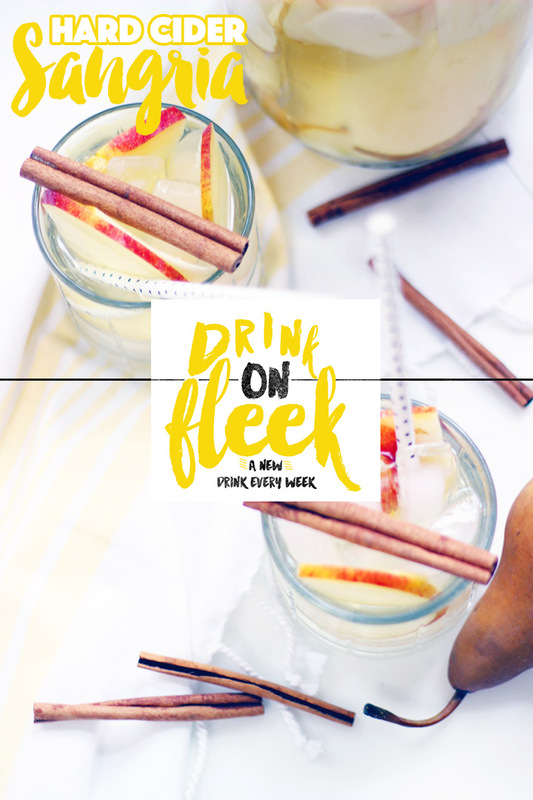 Patti, the co-founder of an awesome craft hard cider company based out of New York, Awestruck Cider, sent me an email a few weeks ago to see if I would be interested in collaborating on a new cocktail for the Drink on Fleek series. Ummm, duh! 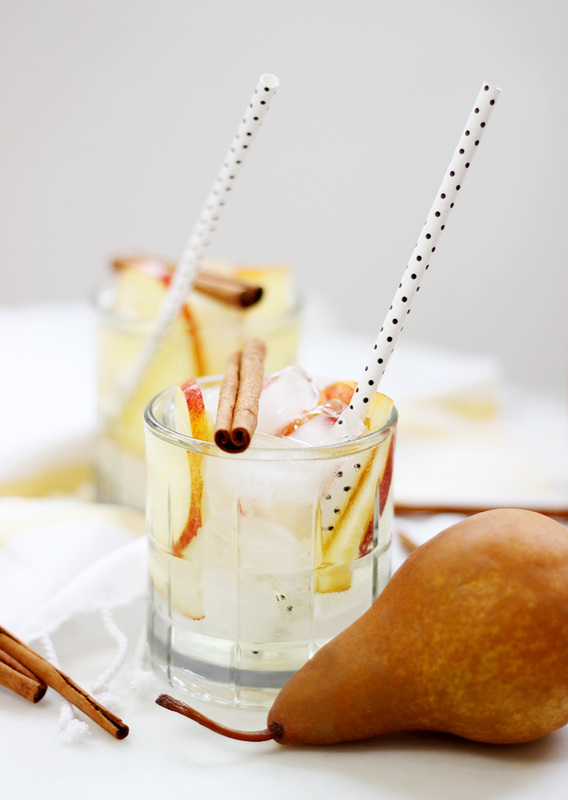 I'd never thought to use a hard cider in a cocktail, but the possibilities and pairings are endless. 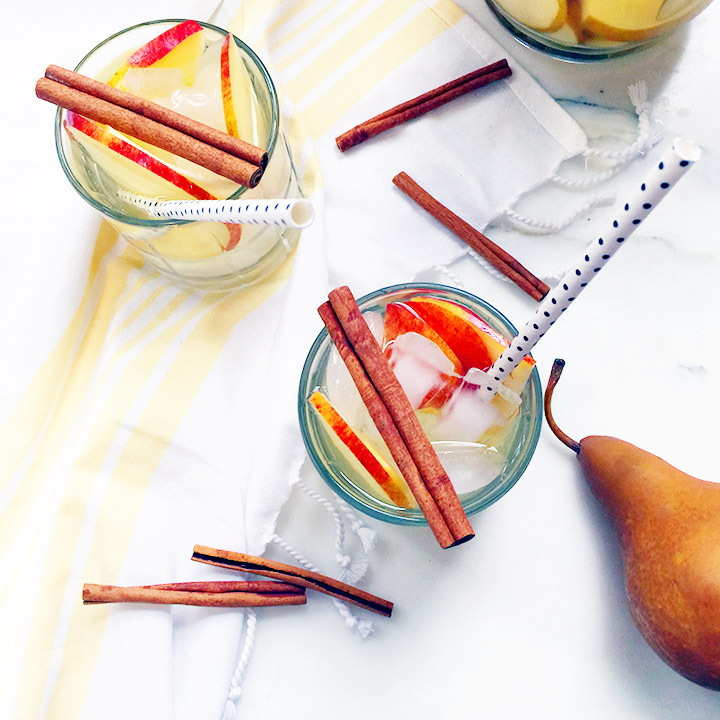 I had been hoping to do a sangria recipe for a few weeks now, so I decided that would be the perfect big-batch, Holiday cocktail to use their delicious ciders in. 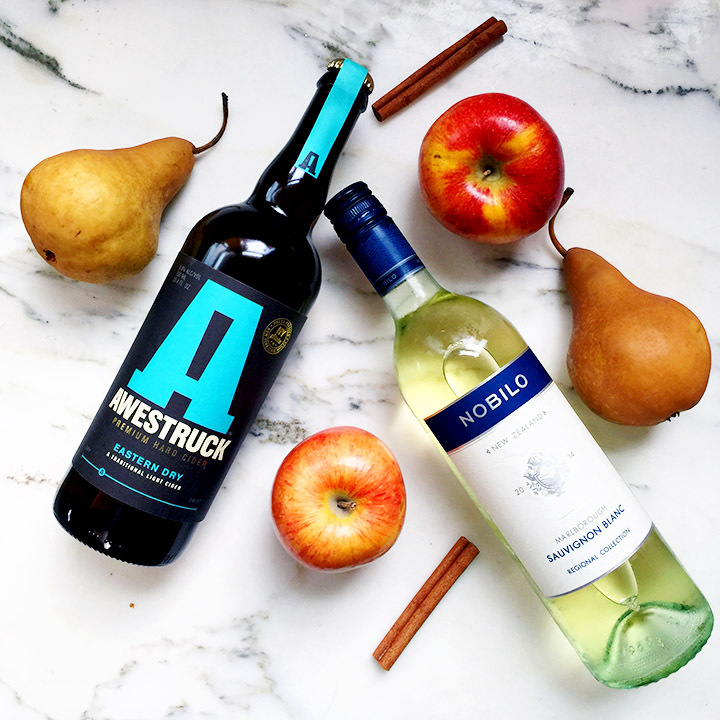 The world of hard cider can be totally confusing because flavors and sweetness levels can be all over the map, but Awestruck makes it easy on us all by having a flavor slider bar to help decide if a particular flavor of cider is right for you. 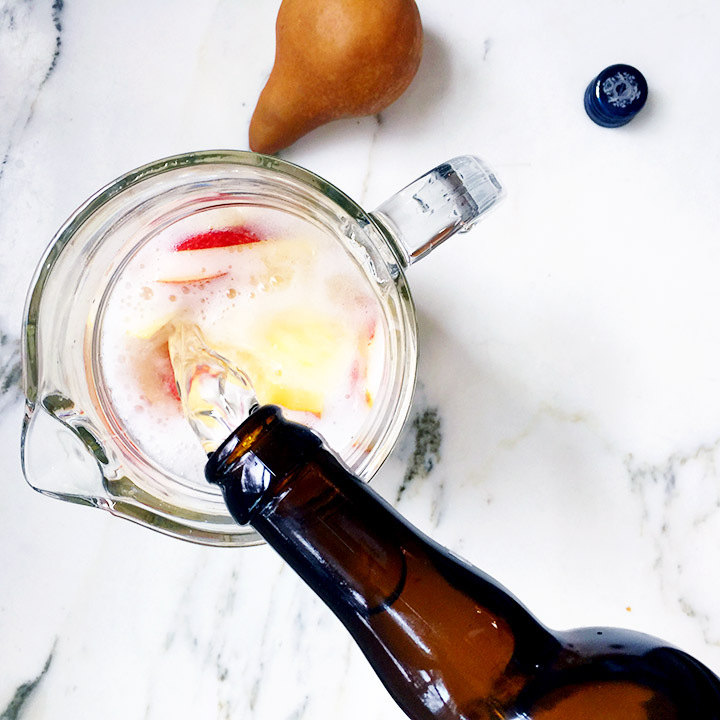 For this recipe I went with their Eastern Dry Cider, which is a dry cider -- obviously -- with a good amount of fizz. I knew it would be perfect in my sangria. I'm not a huge fan of overly sweet drinks, so I used a Sauvignon Blanc as the wine in the sangria. If you prefer a sweeter, more bubbly batch, try using a riesling in yours! 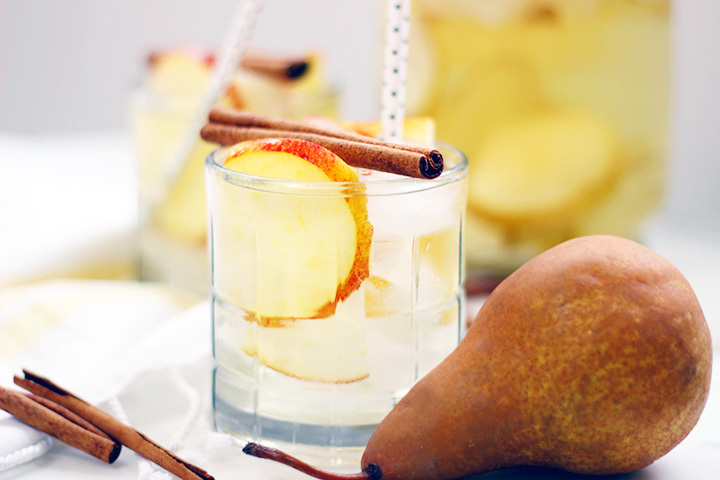 Slice your apple and pear and toss together in a large pitcher with your cinnamon stick. 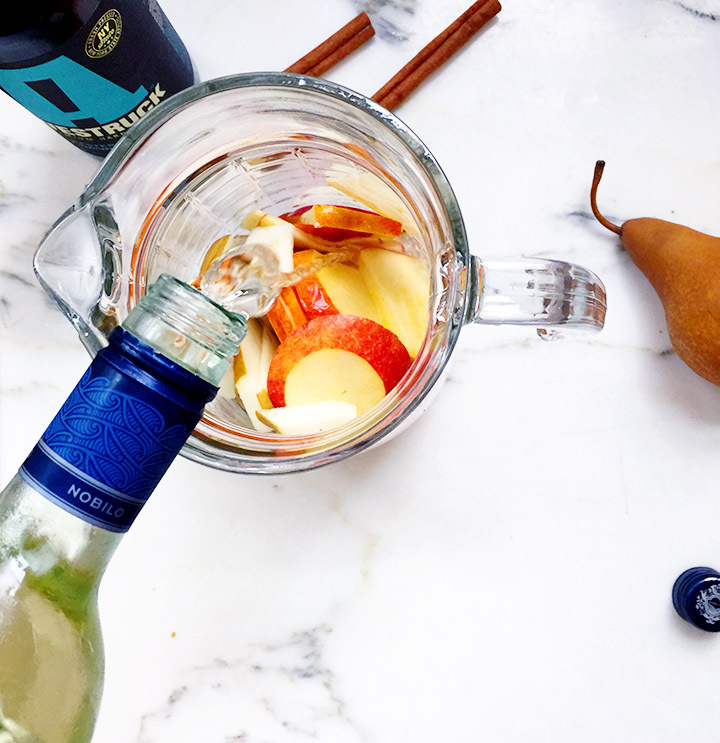 Pour wine over your fruit and chill until you're ready to serve. 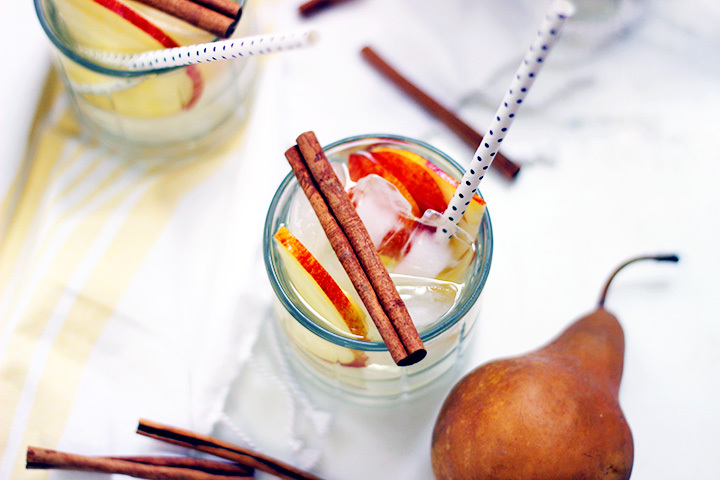 Right before serving, pour cider in your pitcher and gently stir. 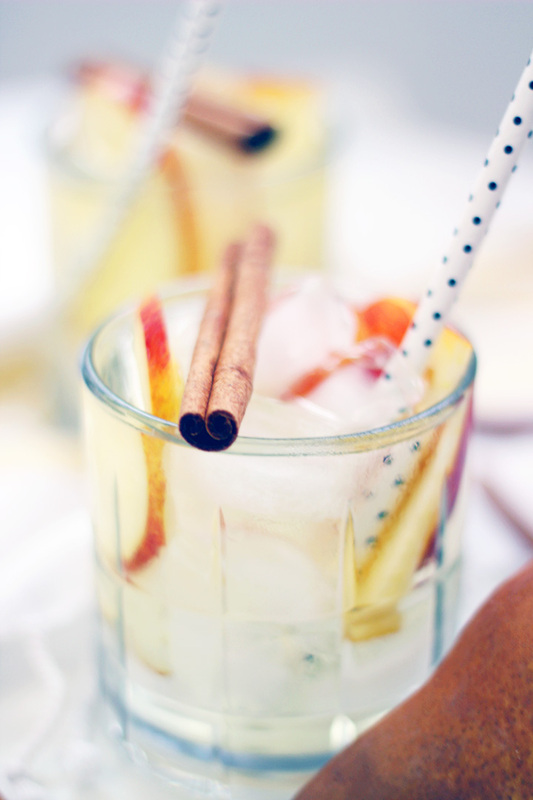 Pour over ice and serve with a cinnamon stick. 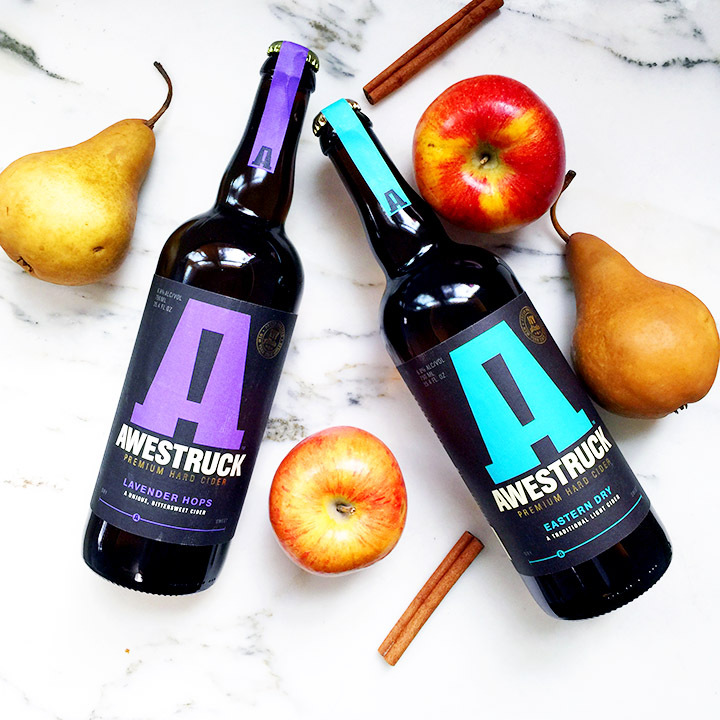 To learn more about Awestruck Cider || Check them out on Facebook and Instagram! 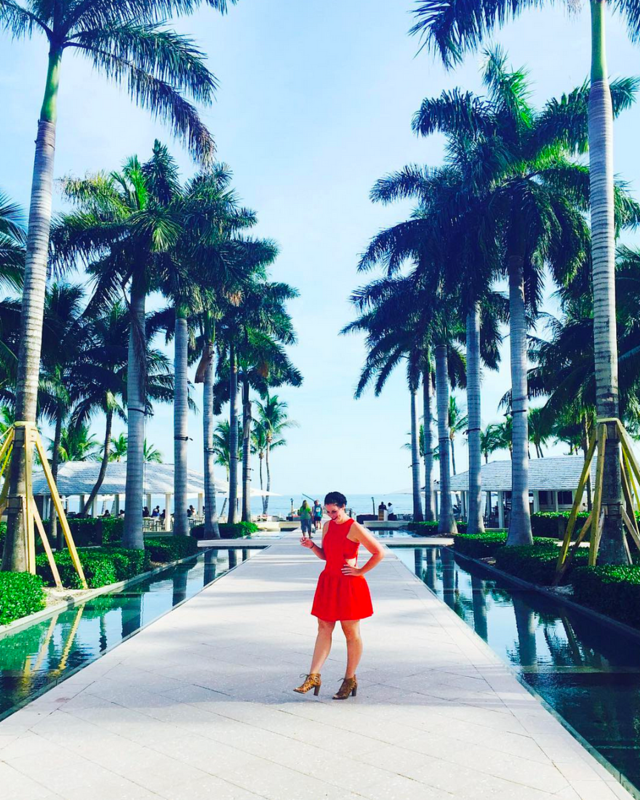 For more cocktail ideas, check out my full feed of Drink on Fleek here. 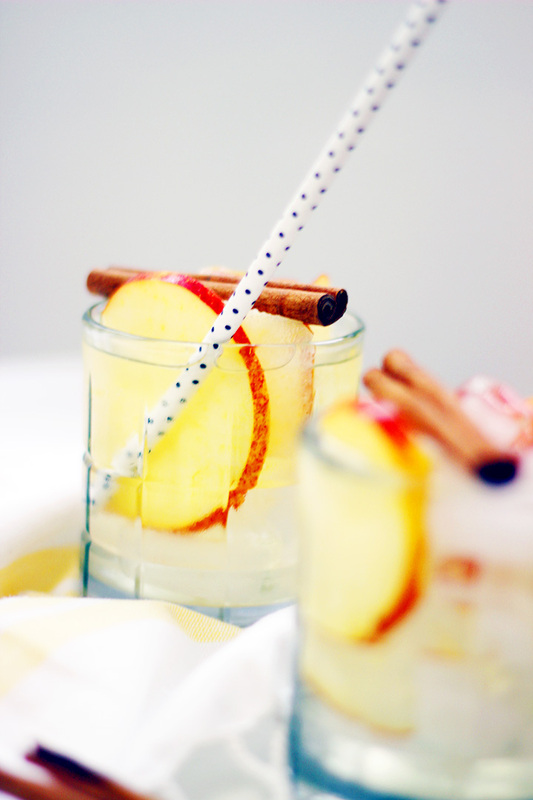 Thank you to Awestruck for providing their cider for this post. YUM! 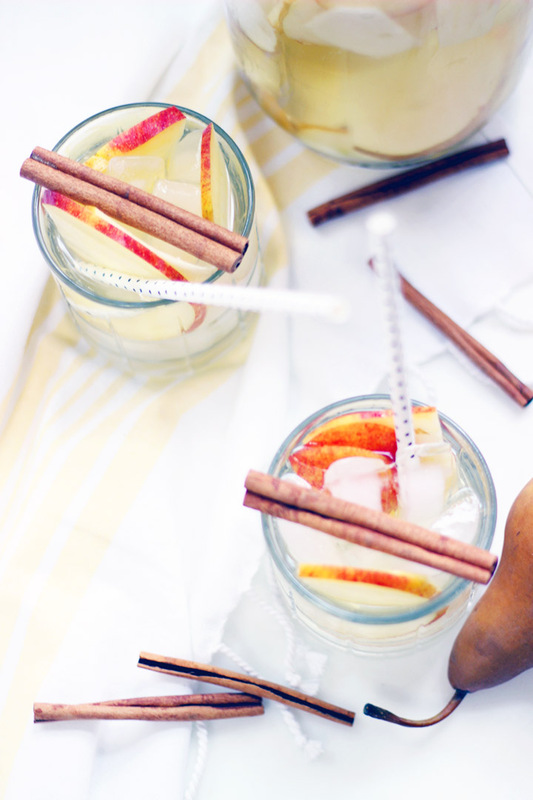 These look amazing, and I love the little straws, too! This looks delicious! Such a great idea! Looks delicious! I love cider so I may just have to try this! no lie i had something almost identical on sunday and was dying to know what it was!! this is awesome. This sounds so damn good, YUM!